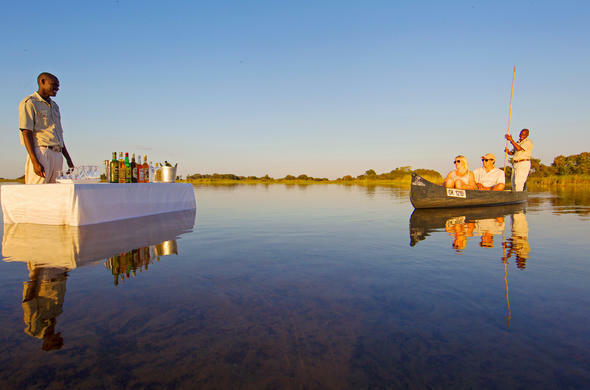 Our Okavango Safari Tours offer you the opportunity to enjoy a memorable Botswana safari where you will stay in comfortable bush camps and Okavango Delta safari lodges. 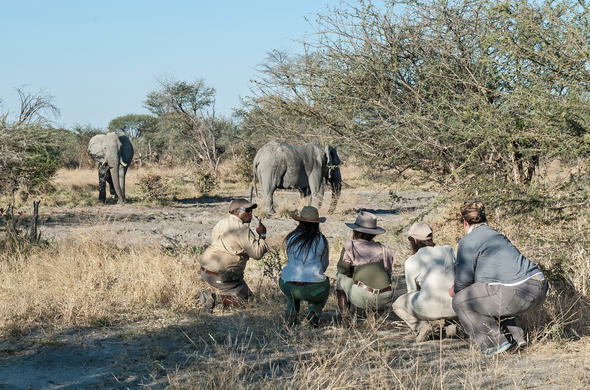 Our selection of customizable safari package holidays and lodges in Okavango Delta and Moremi Game Reserve offer excellent game viewing and activities. You can set off on your exciting Okavango Delta safari in three ways; a tranquil mokoro excursion, a bush walk or a game drive. Surrounded by the semi-arid Kalahari Desert, the Okavango Delta, incorporating Moremi Game Reseve, is a lush water wonderland. It is home to many species of antelope, such as Lechwe and Tsessebe. 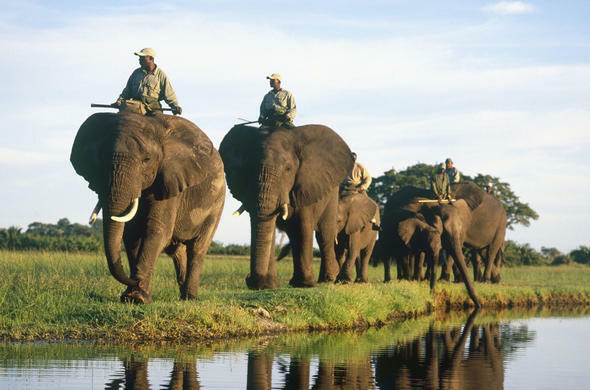 Herds of Buffalo, Zebra and Elephants that number in their thousands pass through annually on their migration routes. A truly unforgettable experience is a bush walk, led by by a safari guide who will show you the more intricate workings of nature. Especially for elephant-lovers, this article elaborates on what you can expect from an elephant-back safari as well as recommended lodges, if you want to experience close-up interaction on with these gentle giants. 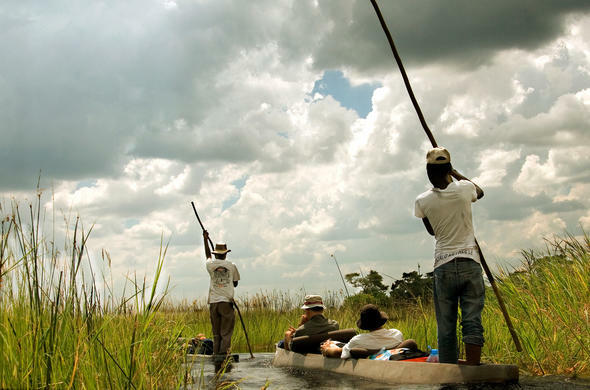 The most unique mode of transport on Okavango Delta tours is the traditional mokoro - or canoe, with a dedicated guide. Game viewing is leisurely as you move serenely through the water. Most game viewing is conducted by boat. Aquatic and land sightings make for an exciting Okavango wildlife experience, whole you drift through the intricate channels of the Delta. Rekax the tranquility of the lagoons, and see rare animals such as Sitatunga and Pel's Fishing Owls. 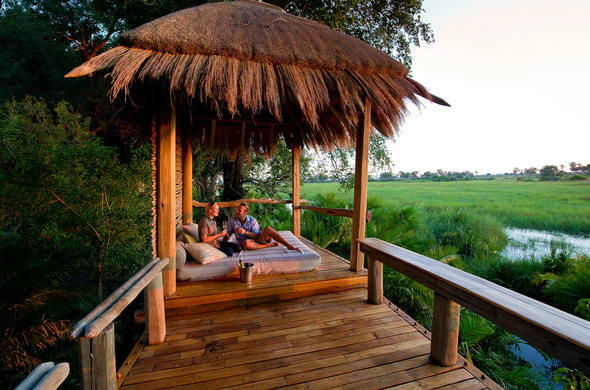 Memories of an Okavango Delta Safari will stay with you for a lifetime. The ultimate pastime is relaxation. Sit back and just enjoy the view. Enjoy the serenity of the Delta.